17 Aug Priory Celebrates Another Year of Outstanding A Level Success! 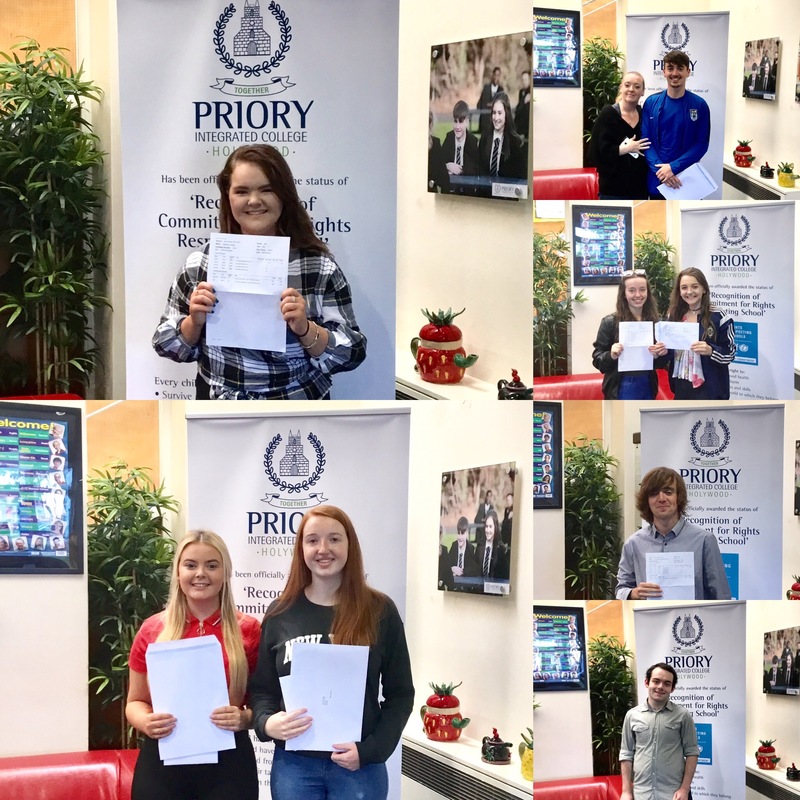 Sixth Form students at Priory Integrated College in Holywood were celebrating their success on Thursday when they received their A level results. It was the best set of results in the college since 2013, with 78% of the year group achieved 3 or more A* – C grades at A level. All of the Year 14 students in the college achieved at least 2 A* – C grades. 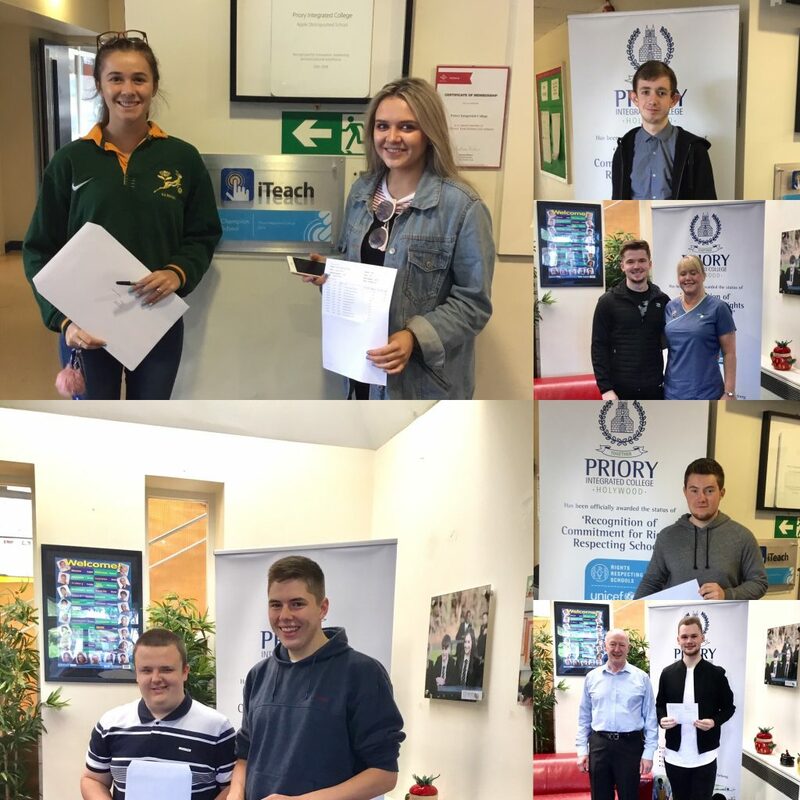 Overall, the students achieved more A* – A grades than ever before with a 100% A*- C pass rate in Applied ICT, History, Home Economics, Moving Image Arts, Applied Science, Business, Engineering, Health and Social Care, Public Services and Sports Studies. 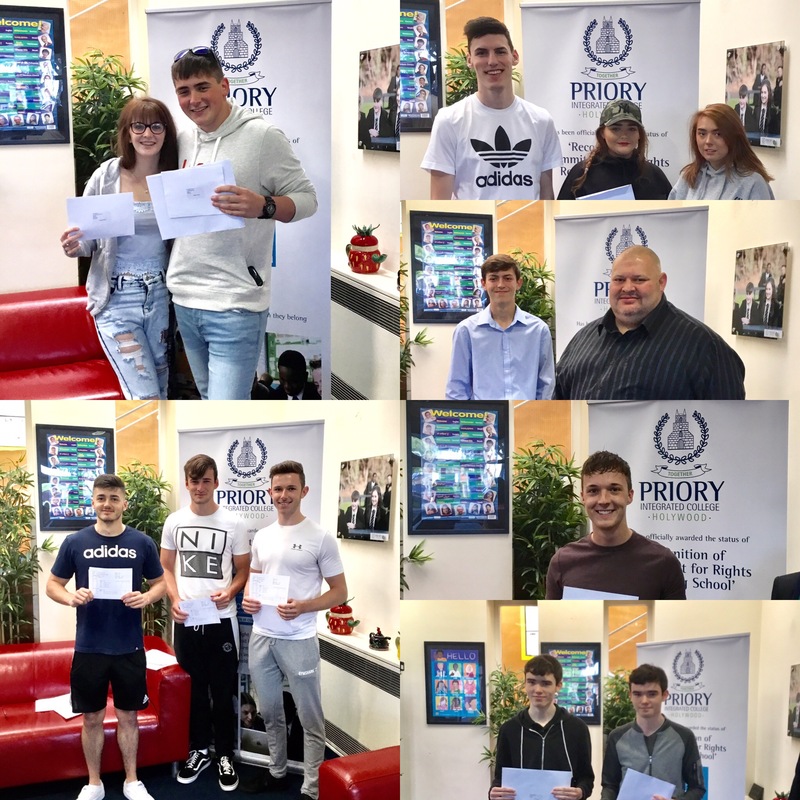 Delighted students celebrated with their teachers, parents and carers, and many are now making plans to begin university courses in September. Amongst those receiving results on Thursday were Marcus, who is going to Stranmillis University College after achieving A*, A, A in Business, ICT and Sports Studies; Hannah achieved A*, A*, C in Applied Science, Health & Social Care and ICT, and is now heading off to Glasgow to study Learning Disability Nursing and Grace who achieved 3 Bs in Business, ICT and Moving Image Arts, and is moving on to Queens’ University to study Broadcasting and Production. Anyone interested in applying for a place in Sixth Form at Priory should visit the college on Thursday 24th August with evidence of the GCSE results. The Admissions Team will be happy to meet with you and discuss the options available.